An industry leading platform built on speed, stability, redundancy, and diverse trade functionality. 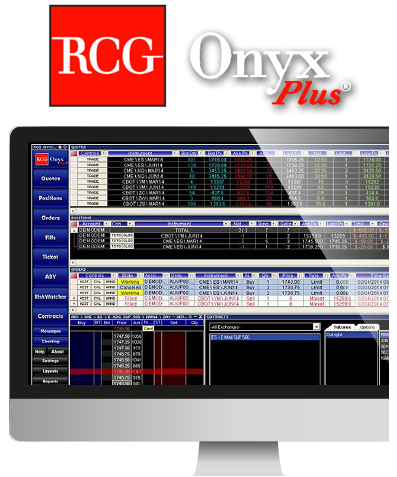 Built for traders by traders by RCG, Onyx Plus provides 24/7 trading and support to a wide set of global markets and products. Give it a try yourself—try the futures trading platform relied on by thousands of traders. Try RCG Onyx Plus now. What are the first 3 digits of your account number?